Dove chocolates, the brainchild of Greek immigrant, Leo Stefanos, made its debut in 1939 as the "Dove Bar," an ice cream pop enveloped in a luxurious silky chocolate coating. In 1986, according to Dovechocolate.com, M&M/Mars acquired Dove and expanded into the extensive line of chocolates now available in many forms. 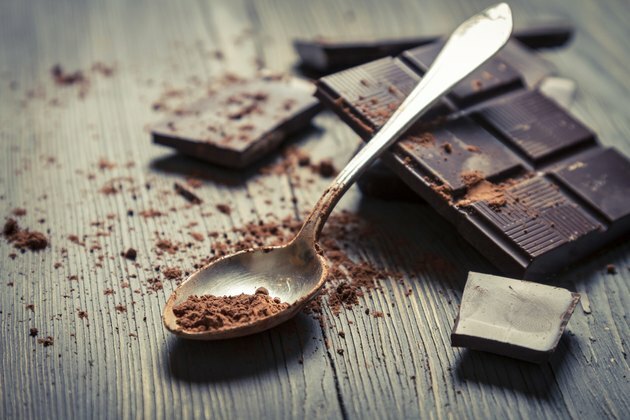 One product, dark chocolate, has joined the ranks of a few foods known to combat free-radicals, those elements of the body that have a strong association with a number of diseases. Chocolate's central ingredient, cocoa, comes from plants grown in parts of South America where it has become a tool for economic growth in otherwise poverty-stricken countries, according to Dovechocolate.com/sustainability. Dark chocolate gained notoriety when nutritionists discovered cocoa has disease-fighting, antioxidant properties. The amount of cocoa in dark chocolate determines how effective its antioxidant capacity is. To that end, Mars has patented a process, "Cocoapro", which ensures that Dove's Dark Chocolate retains much of its healthy cocoa flavenols, a plant form of antioxidant. Dove chocolates come in many forms, such as, plain candy bars, nuggets with fillings, coatings and mix-ins for ice cream, as well as gourmet flavored chocolates. Milk chocolate, the sweeter version, generally contains more sugars and less flavenols. The dark chocolate, made of semi-sweet chocolate and cocoa solids, comes in many forms, but the "silky singles bar" and the "promises" miniatures contain pure dark chocolate only. Dove Dark Chocolate, as measured in five pieces of the "promises," contains 210 calories, 13 grams of total fat, 8 grams of saturated fat, 0 grans of trans fat, 5 milligrams of cholesterol, 19 grams of sugars and 0 milligrams of sodium, according to Dovechocolate.com. They also have 21 grams of total carbohydrates, 2 grams of dietary fiber, 3 grams of protein and 4 percent of the RDA for calcium and iron. Its sister version, "silky smooth dark chocolate singles," has comparable nutrients. For one 37 gram bar, it has 190 calories, 12 grams of total fat, 7 grams of saturated fat, 0 grams of trans fat, 5 grams of cholesterol, 17 grams of sugars and 0 milligrams of sodium. The singles also have 22 grams of carbohydrates, 3 grams of dietary fiber, 2 grams of protein and 6 percent of the iron RDA. A standard rating for the antioxidant content in foods is measured by the oxygen radical absorbance capacity or the ORAC; its lowest value begins at 1. The ORAC rating for dark chocolate of 246.0 compares favorably to milk chocolate which measures 72.0. The difference comes from the high amount of cocoa in dark chocolate. Dietaryfiberfood.com reports that Dove dark chocolates rate high in cocoa content, alongside Hershey's, Ghiradelli, Kroger and Nestle brands. Dove dark chocolate has a high amount of flavonoid antioxidants, the chemical linked to arresting the development of cancer, heart disease, Alzheimer's disease and Parkinson's disease. Awareness of the antioxidant content of food shines hope for using foods that include Dove dark chocolate to combat diseases. For a healthy diet, you should always limit calories, fat, cholesterol and sugar content. Vitamins and minerals should contain high percentages of the RDA, recommended daily allowance. Dove dark chocolates count as one of those foods when eaten in moderation. The Clevelandclinic.org recommends eating three to five Dove miniature "promises" five times a week, or a "silky singles bar," will give you antioxidant benefits like those of green tea, red wine, fruits and nuts. What Is the Difference Between Pizza Hut Mozzarella Cheese and Regular Mozzarella? What Does OPC-3 Isotonix Do?